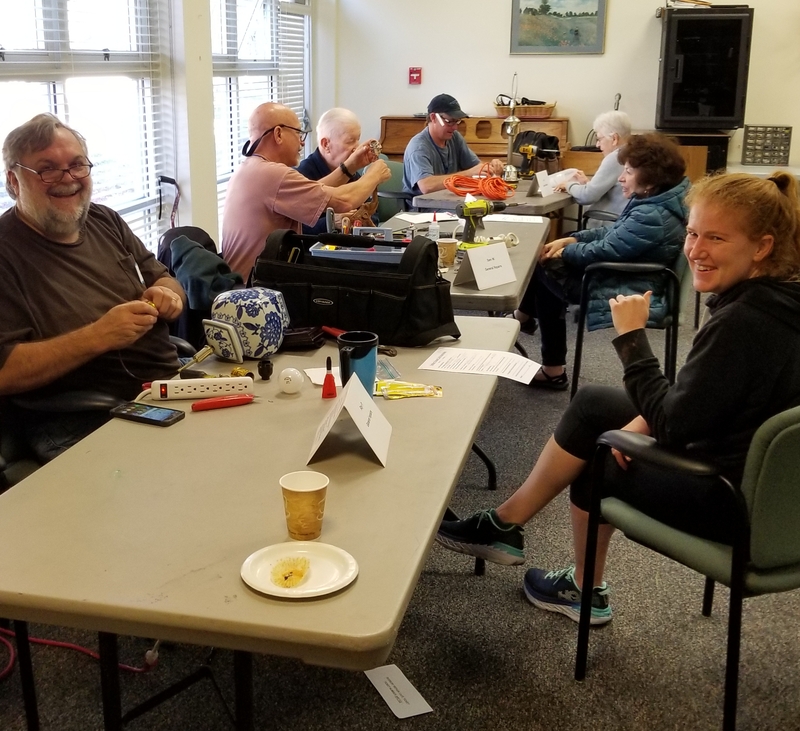 The Repair Café – A huge success! The Re pair Café was held at the Sudbury Senior Center on Saturday, October 28, 2017. Over 50 items came in for repair. We had lawn mowers, weed whackers, lamps, various items to be sharpened, sewing machine fixes and electrical issues solved. Thank you to all the volunteers, Senior Center Staff, the Rotary Club of Nashoba Valley and The Sudbury Historical Society. Special shout out to Deb Galloway, Director and Janet Lipkin, Volunteer Coordinator who helped organize the event.